The Silver Collection consists of objects owned by the Brotherhood of the Souls in Purgatory, which followed the cult of the dead, and was made up of professionals such as lawyers, architects and medical doctors, to name a few. As the membership requested a generous sum, this was one of the richer brotherhoods at the time. This brotherhood was considered also to be one of the most important and prestigious ones; in fact, at one point in time, the Rector of this Brotherhood was Grandmaster Emanuel Pinto de Fonseca himself. 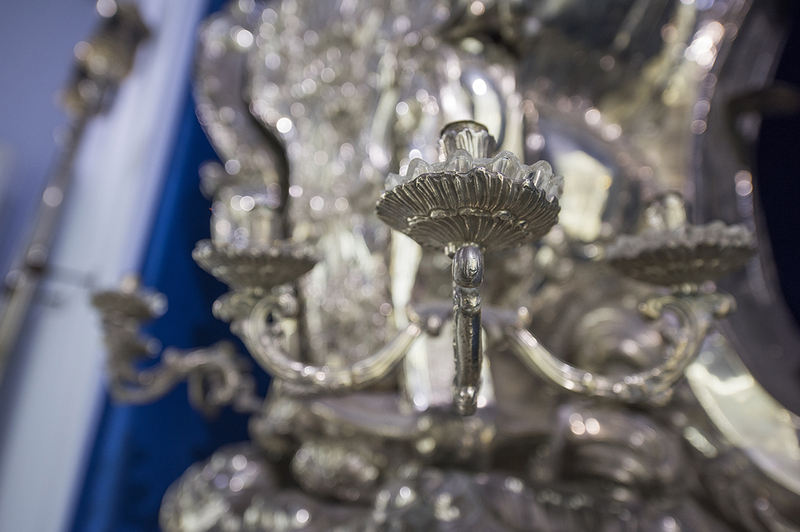 The Brotherhood commissioned several pieces of fine silverware during the 17th and 18th century. The Brotherhood also took care of the burial of the poor; the burial of those condemned to the gallows, as well as a financial contribution to the widows of those executed. Found in this collection is an image of the Madonna on a wooden pallet, shown to the condemned before they were hung so as to be the last image they saw before they died. The silverware within the collection all include the motif of the Brotherhood, a Memento mori of crossbones and a skull. The Monstrance Throne is also found within the collection, which is used during the adoration of the Eucharist. In Malta and Gozo one can find a number of brotherhoods, some tied to parishes, and others linked to specific churches. These brotherhoods are associations usually made up of laity and secular individuals, and set up with the approval of the church. These associations are often called Fratellanzi, Confraternities or Congregations. Each Brotherhood is governed by a statute and rules. Each brotherhood was made up of a number of lay people, who joined forces to assist the Church in her work and showed their obedience to the Parish Priest. It was in fact the Parish Priest who passed on the request for the setting up of a brotherhood to the Bishop. Upon the Bishop’s approval, a statute outlining the activities and responsibilities of the Brotherhood would be drawn up and implemented. The superior of each Brotherhood is called the Rector, whose job it is to ensure the efficient running of the Brotherhood. Other officials were appointed to oversee specific tasks, including the collection of funds derived from memberships and donations. This income would be used to pay for the obligations of the Brotherhood. Each Brotherhood was given responsibility for an altar within the church. Some embellished these altars by commissioning works of art and implementing valuables. Each Brotherhood had its own livery colours. These were approved by the Chancellery of the Curia. – The Brotherhood of Saint Michael; made up of businessmen and shop owners. – The Brotherhood of San Omobono; made up of tailors and cloth sellers. – The Brotherhood of San Krispin; made of of shoe repairers. – The Brotherhood of Saint Helen; for silversmiths. – The Brotherhood of Saint Joseph (one of the oldest brotherhoods in Malta); for carpenters. This is one of the oldest Brotherhoods to be set up in Malta in the 16th century. The main purpose for this Brotherhood was taking care of souls, and ensuring a safe journey to eternity to the deceased. When epidemics hit the islands, this Brotherhood took care of burials and cemeteries. It followed the cult of death, and every year they would hold a commemoration of its members who had died. The Brotherhood would decorate its chapel in black damask with gold trimmings at the edges. Long rows of candles would be lit, Black iron candelabras would hold flaming torches and the Brotherhood’s emblem or a skull and other symbols painted on boards would be hung from them. Some of these Brotherhoods had their own printed prayer books, in Latin or Italian, which were used during these celebrations. These practices were abolished after the second Vatican Council. 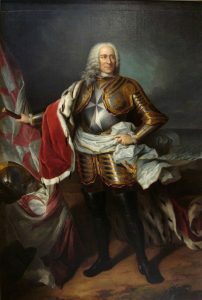 Emmanuel Pinto de Fonseca (24 May 1681 – 24 January 1773) was the 68th Prince and Grand Master of the Sovereign Military Order of Malta from 1741 until his death. He was a Portuguese nobleman, the son of Miguel Álvaro Pinto de Fonseca, Alcaide-Mór de Ranhados, and his wife, Ana Pinto Teixeira. Grandmaster Pinto built the first printing press in Malta, known as La stamperia del Palazzo. In 1768, he expelled the Jesuits from Malta. On the 22nd of November 1769, using the revenues from properties expropriated from the Jesuits, Pinto signed a decree setting up the University of Malta. Pinto completed the building of the Auberge de Castille. Pinto made substantial donations to St. John’s Conventual Church in Valletta. He built nineteen storehouses in the Grand Harbour, which still bear his name, as well as several other buildings and structures. The town of Qormi was granted the title of a City, the name of Pinto himself, and his coat of arms as its own, thus renaming it officially Città Pinto from the traditional Casal Fornaro.